Climb into urban sophistication with the Madison Loveseat! 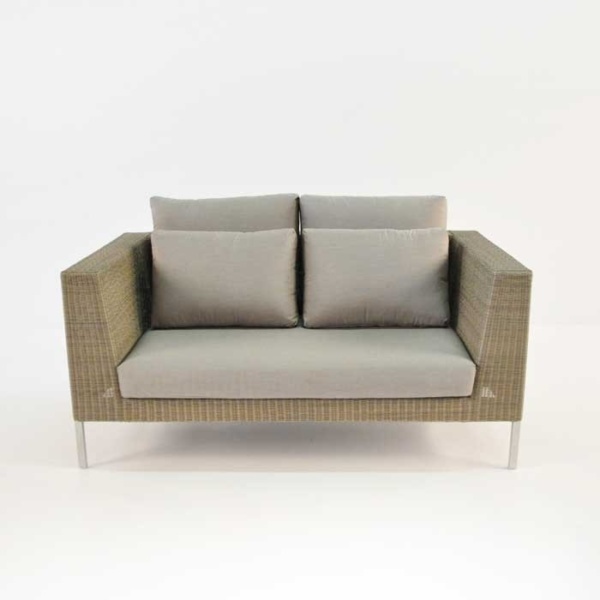 The Madison Loveseat is the epitome of contemporary. 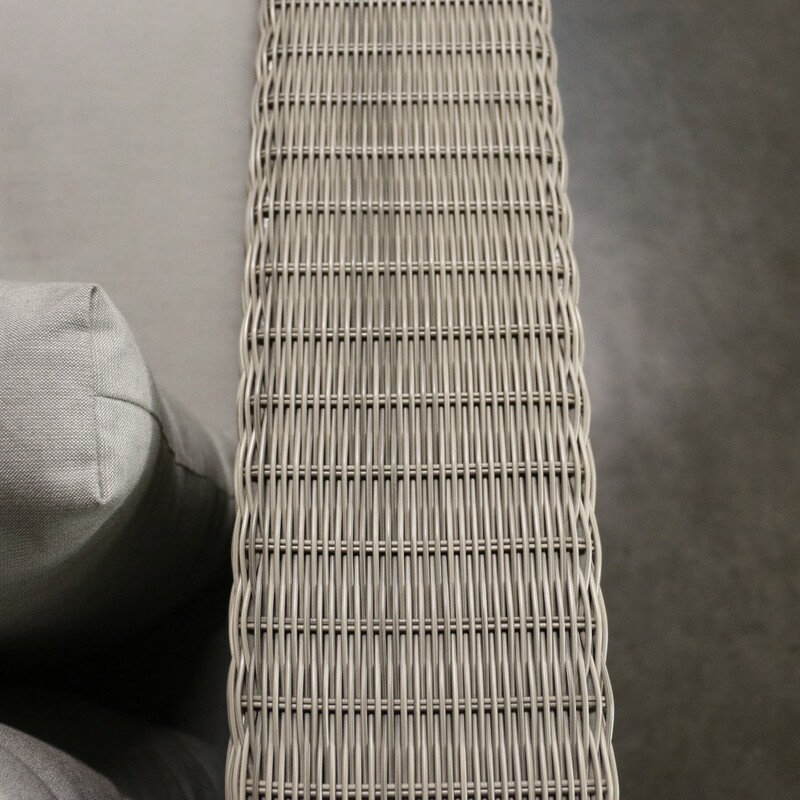 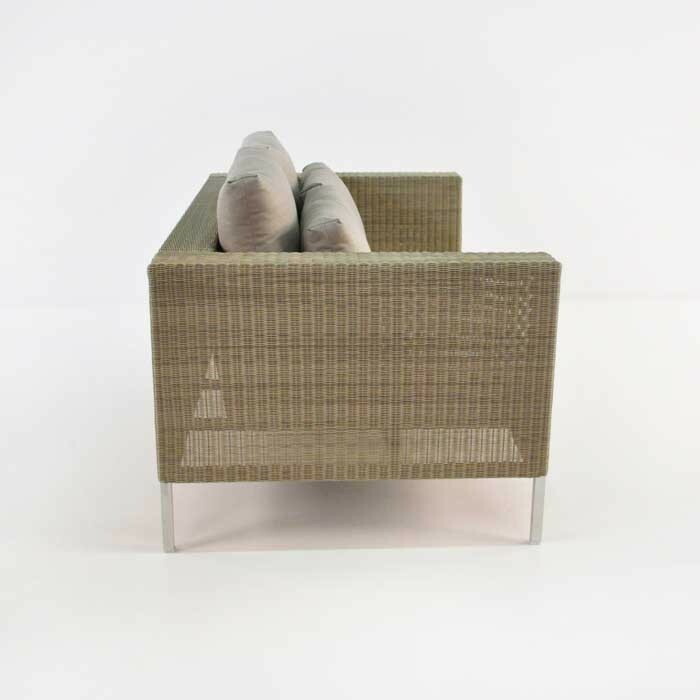 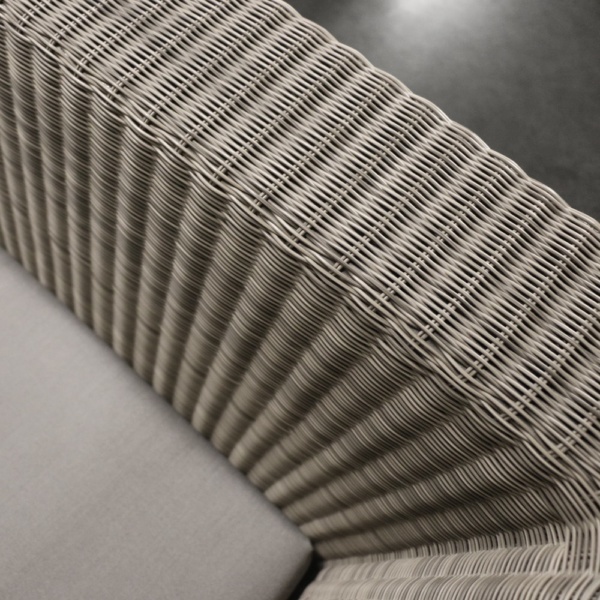 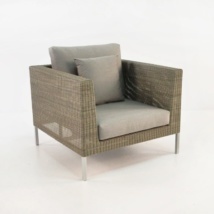 The polished look is achieved with close-weaved Viro® outdoor wicker. 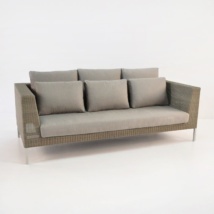 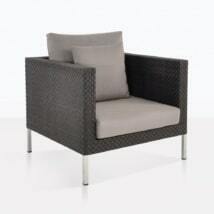 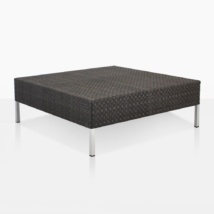 An extremely comfortable piece that is perfect for the garden, verandah or inside. 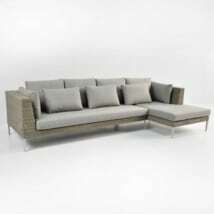 At 62 inches long, it may be smaller than the 3 seater sofa but it still packs a punch in any area: indoor or out, small or large! Place the Madison Loveseat in your day room for an elegant, contemporary addition to your home. W63" x D38" x H35"
Make a tremendous, bold setting with the Madison Combo with two Madison Sofas and a couple of Madison Large Club Chairs; place it in your garden or patio for a chic flourish! 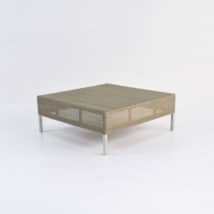 Add a Madison Coffee Table to complete the look or do something a little different by trying a Raw Concrete Table with it, such as the Blok Rectangular Coffee Table, instantly making your atmosphere trés en vogue! The Madison Collection bears a beautiful, light and airy design; seemingly floating because of the frosted powder-coated aluminum frame and paired with the plush Sunbrella® cushions, resulting in a simple, tasteful yet extravagant look due to the use of superb marine grade products. 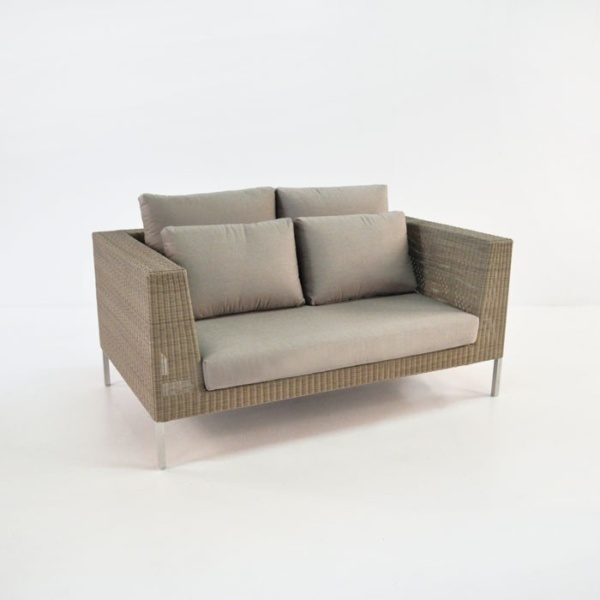 The wicker is closely weaved pieces of the all weather, award winning Viro®, an incredibly attractive and durable product. 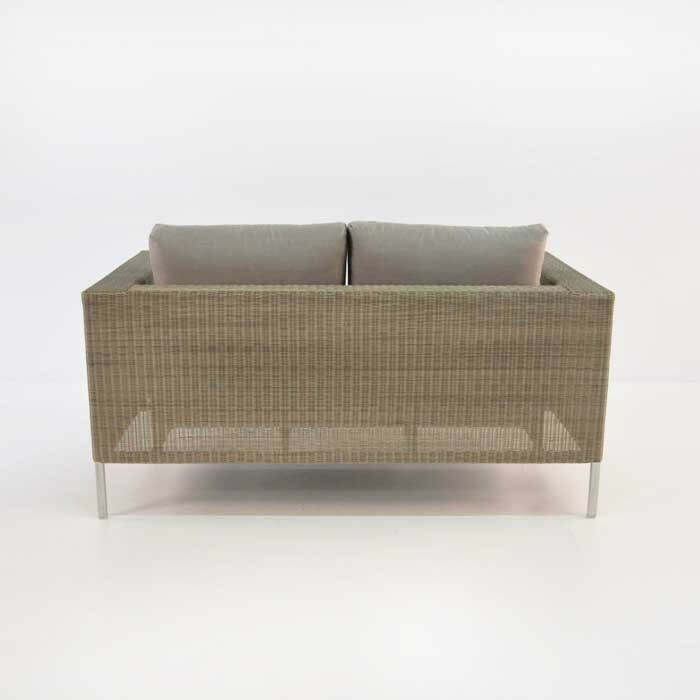 The look is topped off with a double set of outdoor cushions made of celebrated Sunbrella® fabric… you are absolutely sure to love these amazing, high quality marine grade products!